Marketing promotions make sure your target customers understand the value of your product. However, that is just the first phase of closing the deal. Each marketing dollar you spend should convert into sales that is enough to recover the acquisition cost per customer. To sustain your business’ profitability, you need to provide excellent customer service and after sales support. LVD Consulting Group believes that “customer service” is an integral part of marketing. The way businesses treat their customers after sign up ensures that customers stay with them and advocate their product. In the end, customers who have been given excellent customer service turn out to be free marketing channels. Taking care of your customers, means taking care of your business. Your customers will eventually give you “word of mouth marketing”, recommendations and testimonials — for free. 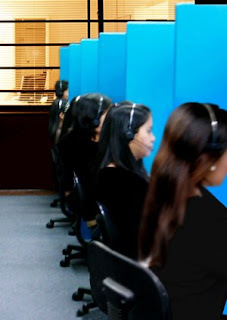 We provide customer service and inbound call center solutions that fit your needs.